Naturally, most people press their gate remote and drive away. Are you sure the gate has closed all the way? 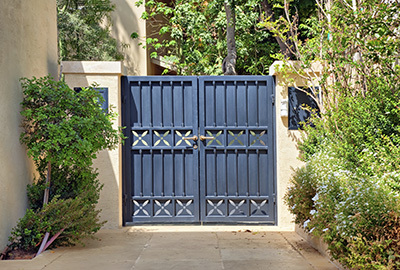 Small opener problems, which are often related to some adjustments that must be made, can leave the gate slightly open. If the lenses of the sensors are dirty, if there is a reflection or if the eyes are not aligned, the gate might reverse and put your security at stake. When you are about to choose a new gate, one of the things you should take into consideration is the local weather conditions. There are many materials on the market, but you want to make sure you select resistant and durable ones. You can still get natural wood gates, but if there is high moisture in your area, they will cost you a lot in maintenance. For similar weather conditions, avoid getting steel gates as well, and instead invest in composite and galvanized steel.